Life wants you to have gratitude for the gift of living. Treasure every second. I am a believer in the value of our public lands. I worked for the North Carolina Division of Parks and Recreation the first 8 years of my career and am still a supporter of that fine organization and what they do to preserve the best of the wild places in our state. And, as readers of this blog know, my favorite place to visit is Yellowstone National Park, the world’s first national park. I usually vacation in areas with public lands and my guided trips are usually to public lands, especially our wildlife refuges. 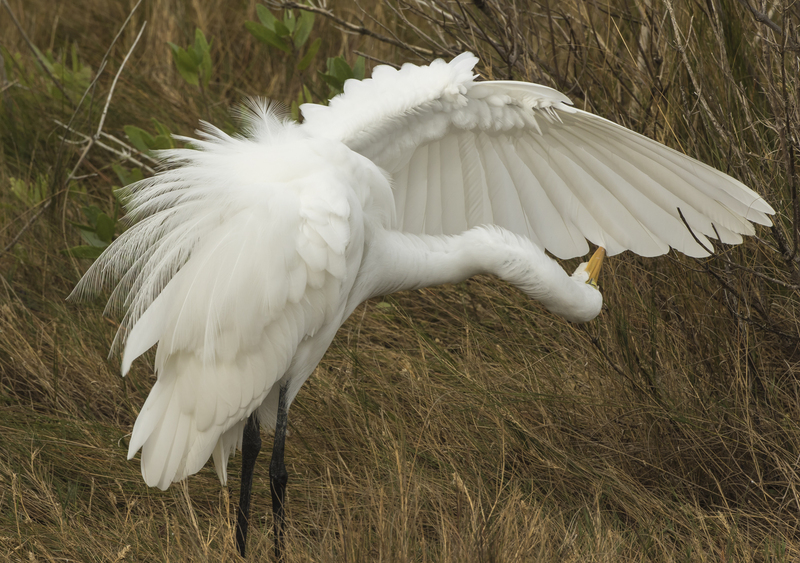 Recently I gave two programs to local photography groups on our national wildlife refuges, highlighting Mattamuskeet and Pocosin Lakes National Wildlife Refuges (NWR), in the hopes that the audience will become visitors and supporters of the refuge system. So, of course, when I recently decided to take a few days and travel to some interesting places, it made sense for me to visit national wildlife refuges. I was debating whether to go south or north, but with the recent warm weather and rains, I decided south (where temperatures were predicted to be in the 80’s) might not be to my liking and the mosquitoes would have to feed on someone else, so north I went. 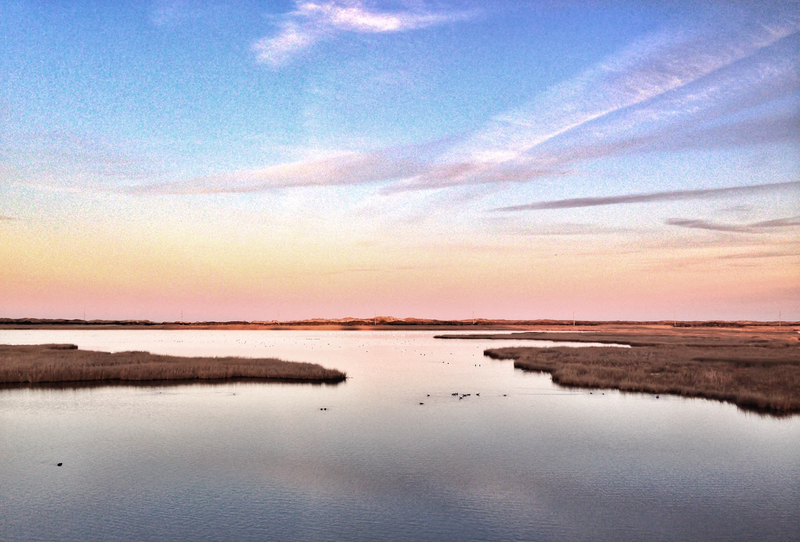 I drove first to Chincoteague NWR. I reported on some of the birds I saw in two previous posts, but there were several other species as well as some beautiful sunrises and sunsets. 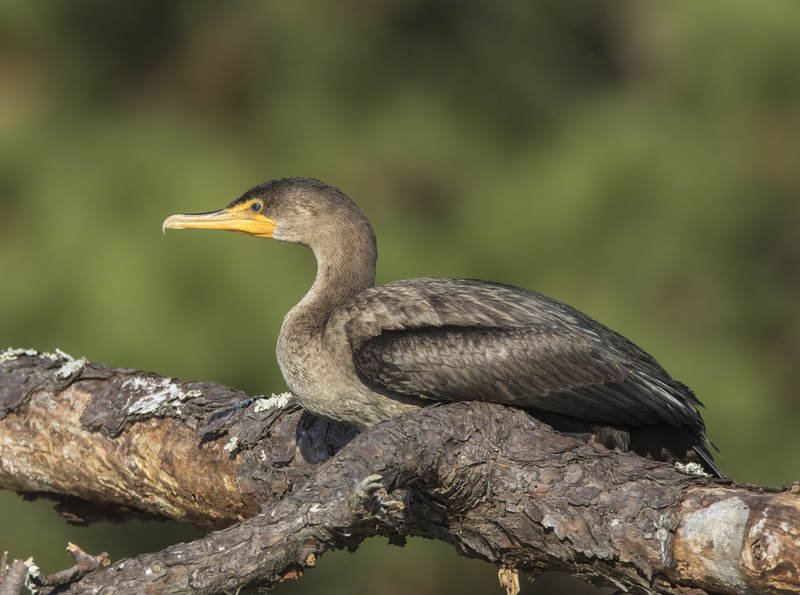 Great Egrets and Double-crested Cormorants provided some photographic subjects as they rested and preened a;long roadside canals. But, there were not that many waterfowl as yet, so I headed further afield and drove over to Blackwater NWR one afternoon from Chincoteague. 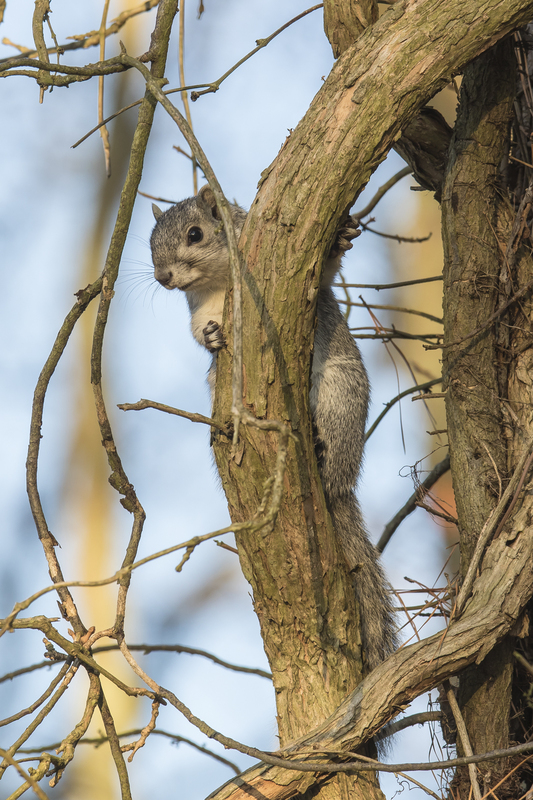 Birds were not very common there either, but I did see a few ducks, lots of Canada Geese, and the soon-to-be de-listed Delmarva Fox Squirrel. While on the trip, I heard this huge tree squirrel will be taken off the endangered species list next month due to the recovery of its population. Good news! One thing that really impressed me at Blackwater NWR were the facilities. The visitor center is beautiful, complete with a well-interpreted native plant garden out back. I had a chance to chat with two of the people in the gift shop (both volunteers) and learned that much of what I saw was donated by the efforts of the Friends of Blackwater NWR, a non-profit support group. They have been very creative in fund-raising and support for the refuge and it really has paid off. I encourage everyone to consider joining a Friends group for any of the refuges that you regularly visit. Your voice and your financial support go a long way, especially in these tough budget times. Driving farther north, I had planned to spend a night in the vicinity of Bombay Hook NWR, figuring there should be some Snow Geese and other waterfowl. There were finally some Snow Geese, maybe 5000, but much of the refuge was closed for the weekend for one of their annual deer hunts. Unfortunately, I had missed that information when I checked the web site (it was posted at the bottom of the first page of the web site and I missed it going through the tabs at the top of the page). 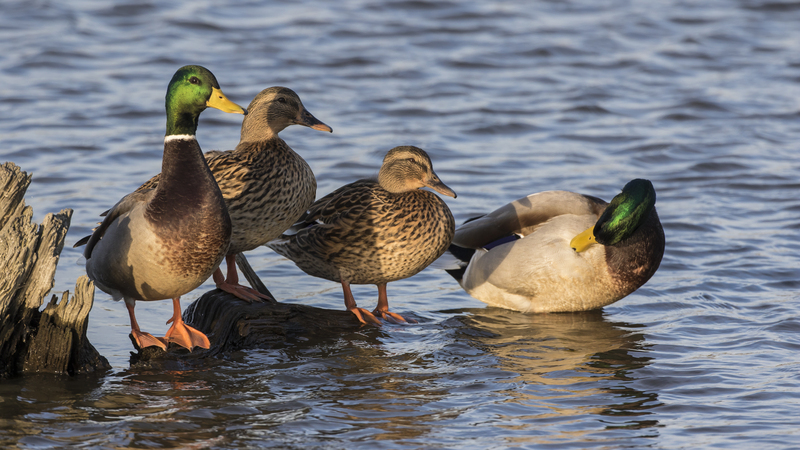 Lesson learned – when planning a visit to a wildlife refuge, be sure to check for restrictions and closures during hunting seasons. With limited access, at refuges up north I decided to head back to my home state and see what might be happening. Sunrise at Pea Island NWR had a beautiful 6-point buck crossing north pond (and me with my camera still packed in the back, oh well, it was still beautiful to see). 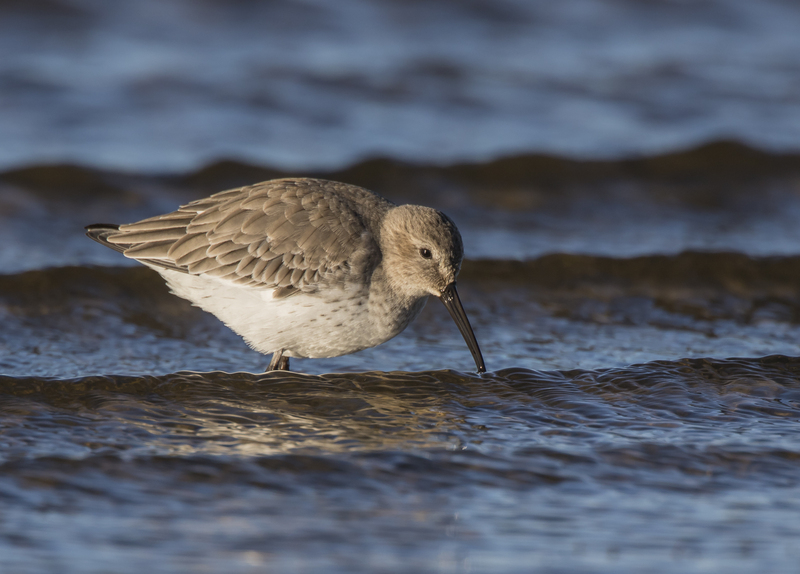 A flock of Dunlins and Dowitchers were feeding along the edge of the pond and allowed me some shots from the roadside. 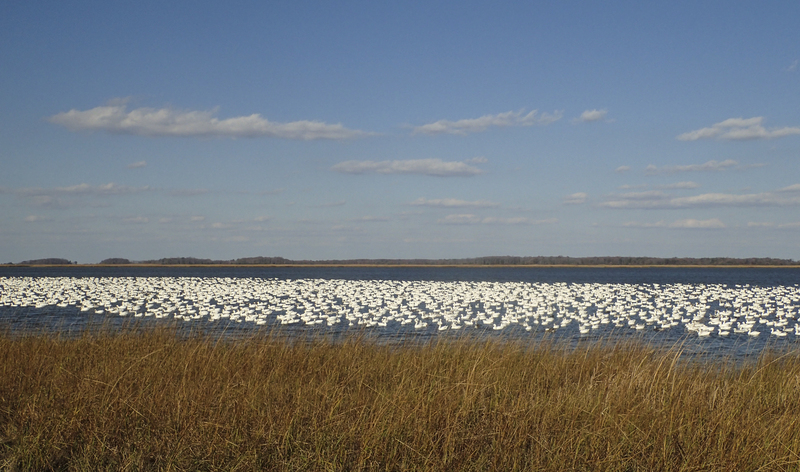 On to Mattamuskeet which had some Tundra Swans and a few ducks, along with the eagle I posted about earlier. 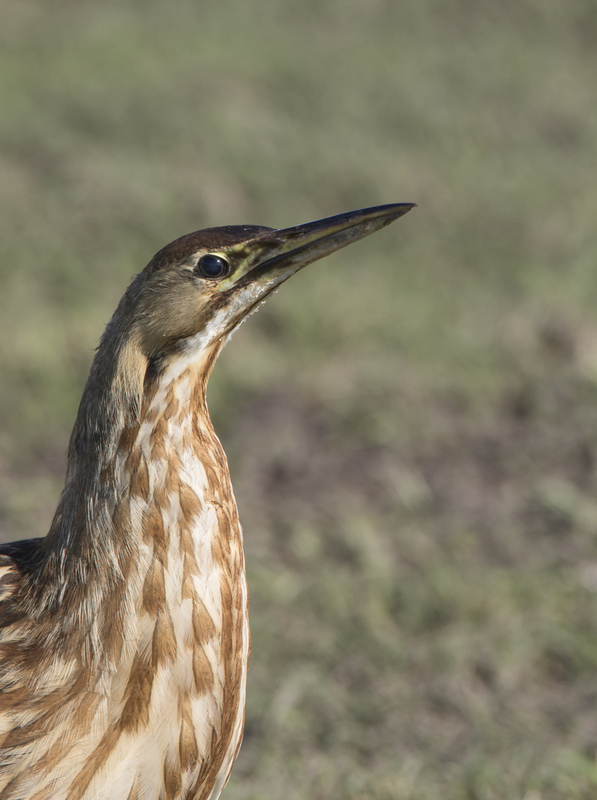 There was also an American Bittern out in the open in someone’s front yard right next to the road…not your usual spot for a bittern. 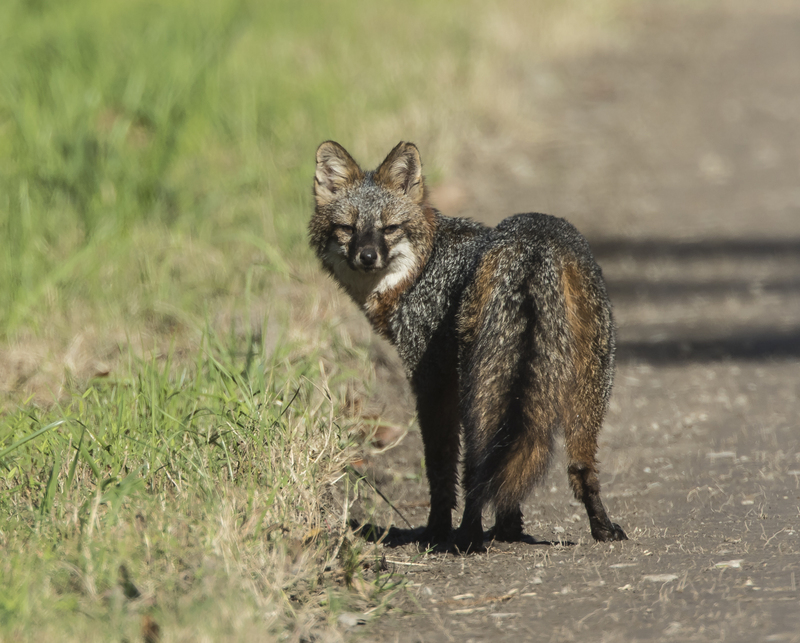 And, it looks as though it will be another good year for Gray Foxes along Wildlife Drive as I saw two in my short time on the refuge. My last stop on my way home was my old favorite, Pocosin Lakes NWR. A few swans flying, some ducks at sunset, and, of course, a few bears along “bear road”. Looks like another busy winter coming up. If you have a chance, get out this week to some public lands near you, and be thankful for the vision of those that helped establish these wonderful wildlife habitats and sanctuaries for our spirits, and for those that work to maintain them for us all. If we can somehow retain places where we can always sense the mystery of the unknown, our lives will be richer. Wildlife refuges, parks, open spaces – these are the special places I love. And we are lucky here in North Carolina to have an incredible variety of public lands to enjoy. 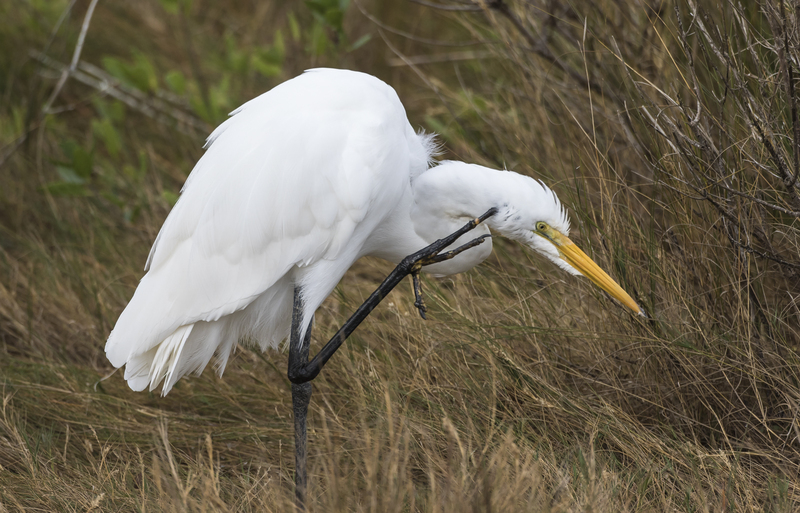 Last week, I took a few days to do a quick tour of some of my favorite places – five national wildlife refuges (Pocosin Lakes, Mattamuskeet, Alligator River, Currituck, and Pea Island), and a national seashore, Bodie Island at Cape Hatteras National Seashore). 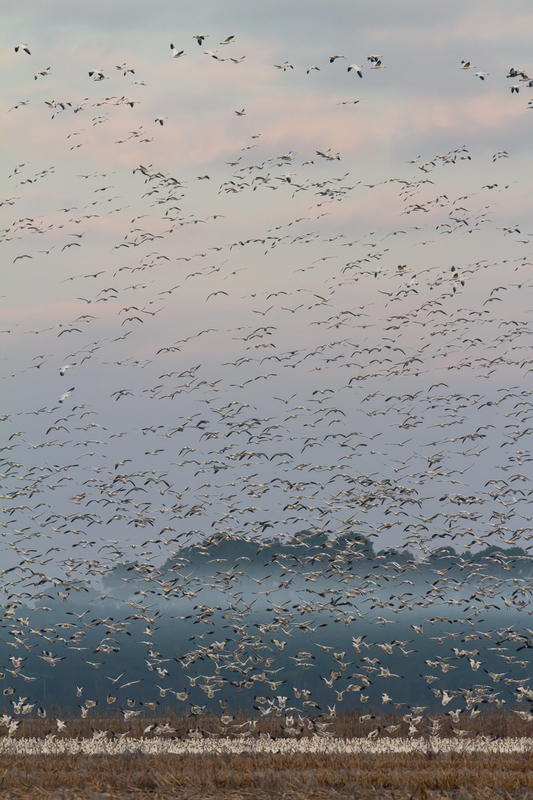 A light fog hung over the fields at the Pungo Unit of Pocosin Lakes NWR at sunrise and soon, they could be heard coming from the lake – Snow Geese. Not the tens of thousands I had hoped for, but still enough to delight the eyes and ears. The flock probably numbered a couple of thousand. They did the usual Snow Goose act of noisily settling into a field, moving as a large white mass feeding in the field, and then erupting into the sky with a loud roar – then repeat – and repeat. One blast off was triggered by a Bald Eagle flyover, but I have no idea what caused the other take-offs. While I don’t understand why they behave this erratically (or how it isn’t a total drain on their energy reserves), I never tire of seeing and hearing it. The next morning I took my inaugural drive on the beach in my new 4wd Honda up at Corolla. I had never been to this part of the Outer Banks, and I was amazed at the super highway out on the beach. 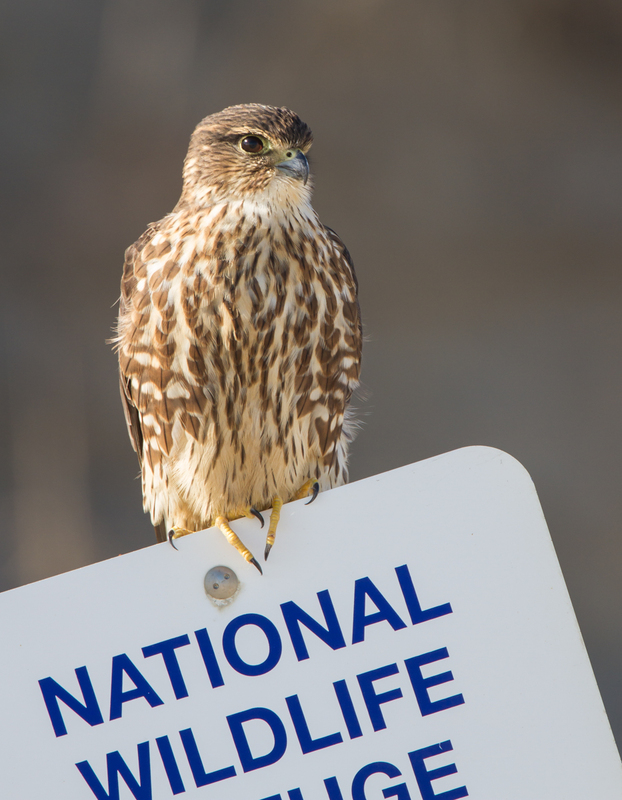 But, there was also a welcome bird sighting – a Merlin, appropriately sitting on a refuge sign along the dunes at Currituck NWR. Merlins are slightly larger and generally darker in plumage than our smallest falcon, the American Kestrel. 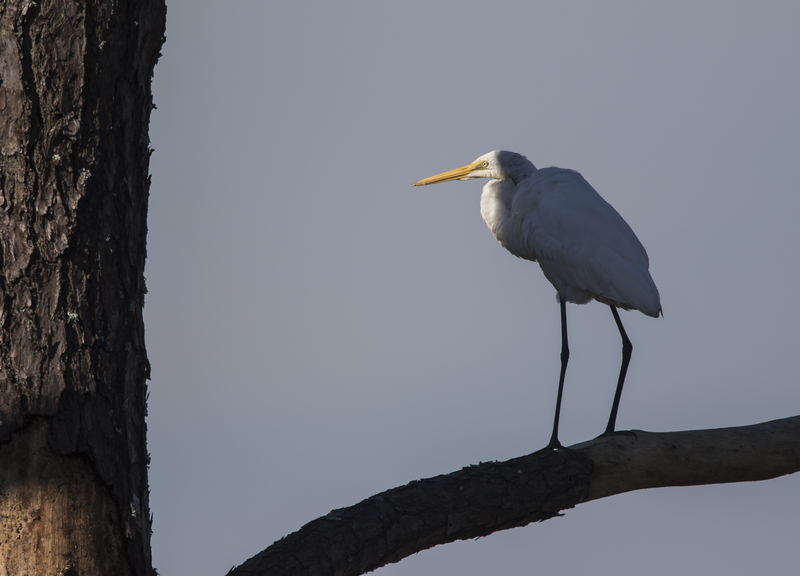 They are voracious predators on various species of small birds, but this one was quietly surveying the scene as cars and trucks whizzed by on the beach. 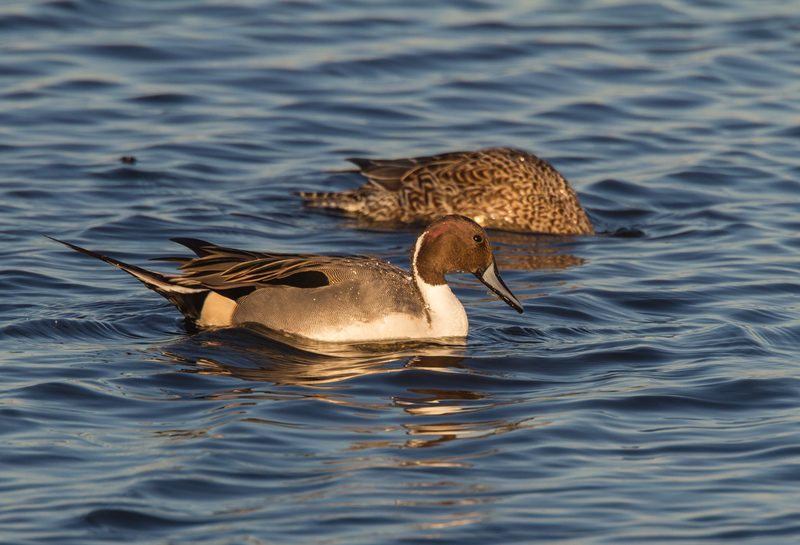 That afternoon included stops at two other waterfowl hot spots. There were plenty of birds at Pea Island, but most were far out on North or South Ponds. 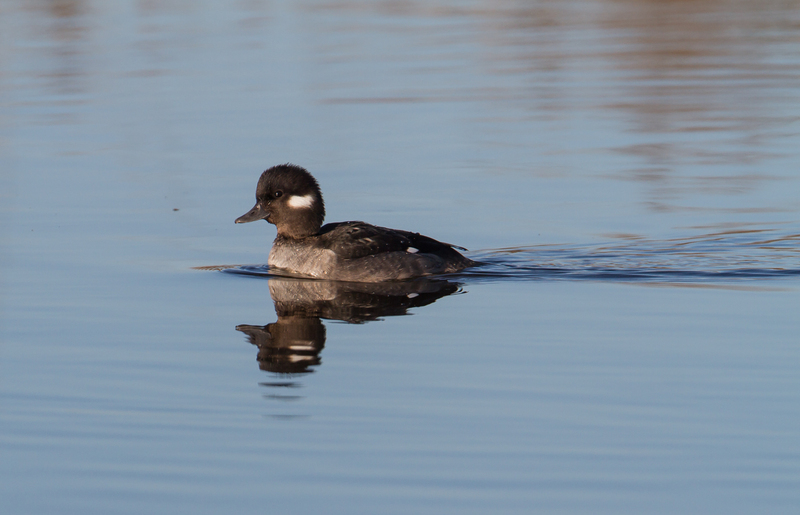 A walk along the trail did produce some nice views of two species – a few Buffleheads and a group of Ruddy Ducks. 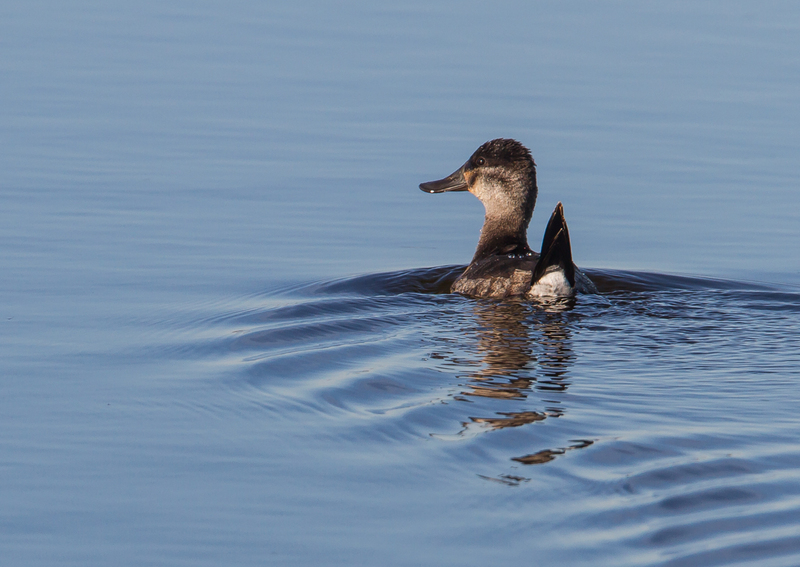 Ruddy Ducks always seem to have a startled look when swimming, their stiff tail feathers held up at an angle. 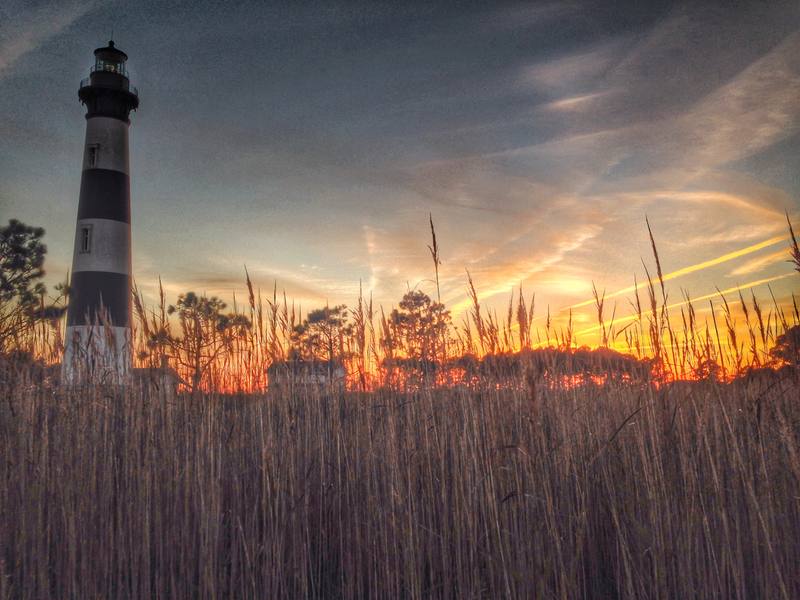 As the afternoon light started getting that golden glow, I walked out onto the observation platform at Bodie Island. 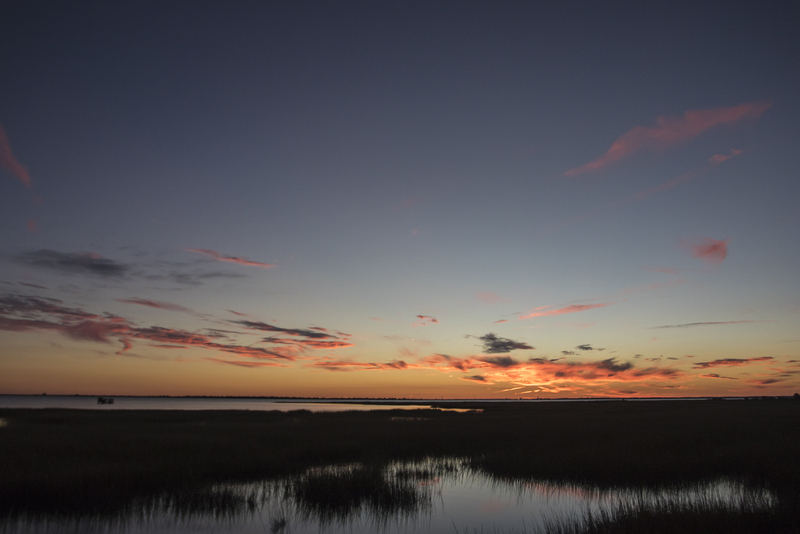 Ducks were calling and flying – a quintessential coastal Carolina December scene. 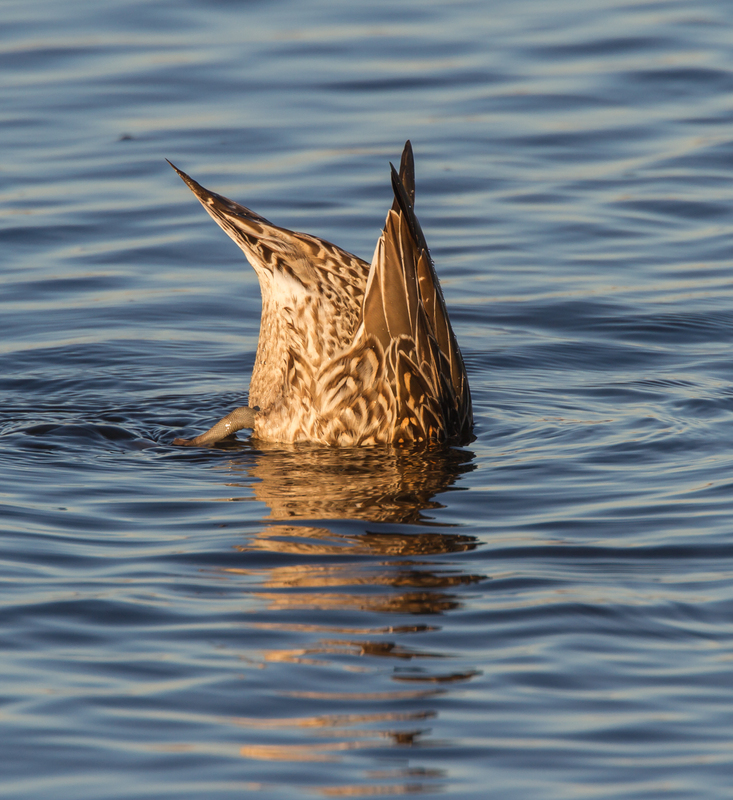 Several Northern Pintails and a few Tundra Swans were feeding in the shallow water near the observation platform, dabbling on submerged aquatic vegetation, with their rear ends up in the air. A few American Avocets were scattered across the pond, picking at some unseen morsels in the water. 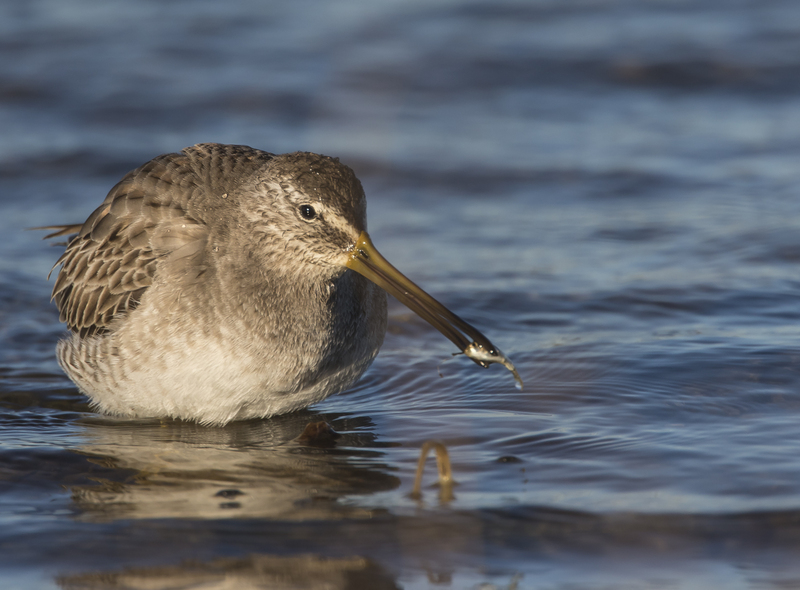 I always enjoy seeing these elegant shorebirds with their unusual upturned stiletto bills. The fading light bathed a pair of Tundra Swans near the platform in rich golden hues as the adult bird preened itself one last time before sunset. Immature (first year) swans have grayish heads and necks and are usually seen accompanying their parents and siblings on the wintering grounds. 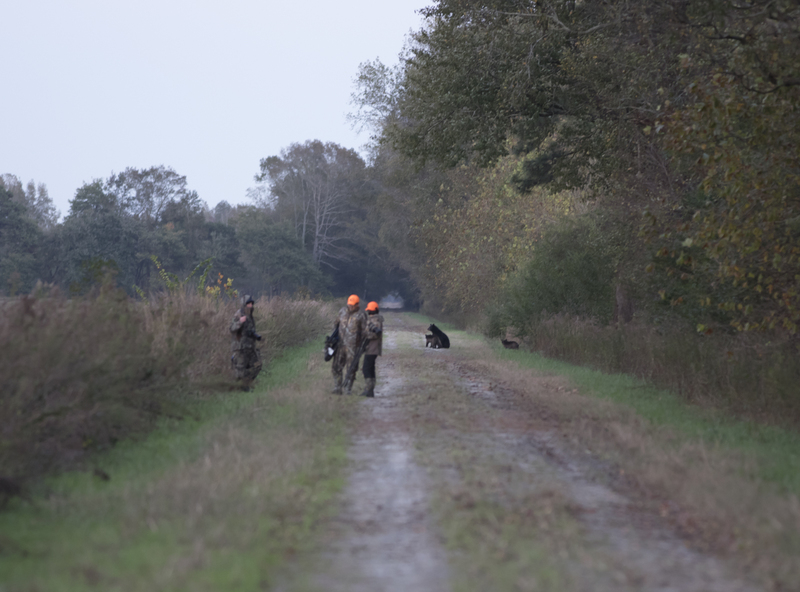 The trip, while brief, turned out to be memorable – beautiful scenes, abundant and diverse wildlife, peaceful soundscapes, and the vast sky characteristic of eastern North Carolina. As the year winds down, I want to wish everyone a happy holiday season and a joyous new year. I hope you are all able to spend more time outside this coming year.